This utterly predictable Christmas comedy isn't quite a lump of coal, but you can do better. If you’re the sort of person who likes to know exactly what’s under the tree on Christmas morning, this creaky, old-fashioned festive comedy might be for you. 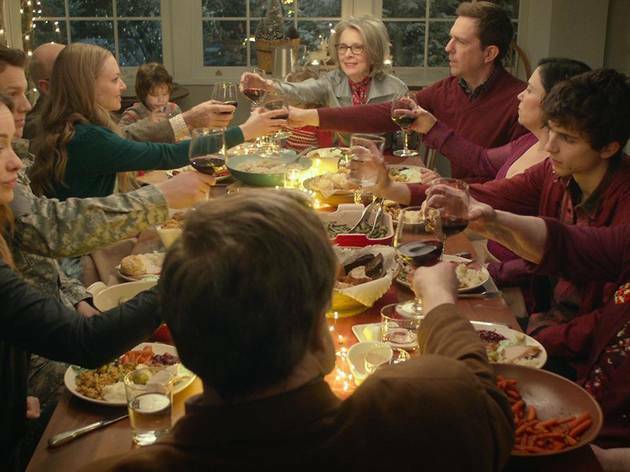 Love the Coopers ticks off literally every home-for-the-holidays box—in dutiful, uninspired fashion. There’s the older couple (Diane Keaton and John Goodman) stocking up on canned cranberries, waiting for the kids and wondering where the years went. There’s the divorced son (Ed Helms) praying for a romantic miracle, and the single daughter (Olivia Wilde) who needs to learn not to be so independent and to find a good solid guy (Jake Lacy). 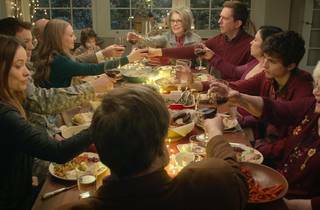 There’s the lonely old man (Alan Arkin), the awkward hates-everything teen (Timothée Chalamet) and even the dotty old woman who dispenses inappropriate language and twinkly wisdom in roughly equal measure (Nebraska's June Squibb). There are flickers of wit and even insight: Steven Rogers’s screenplay moves along nicely, and at least one storyline—between Marisa Tomei’s restless lonelyheart and Anthony Mackie’s closeted gay cop—feels like it’s going somewhere vaguely interesting. But the climax is painfully predictable: Yes, someone keels over into the mashed potatoes, paving the way for much hugging, learning and growing. The film's final moments, in which we discover the source of the film’s intrusive, patronizing voiceover, are simply vile. The result is like stuffing yourself with Christmas pudding: sweet, glutinous, a bit too much.